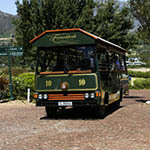 Hayden experiences Franschhoek first hand as he hops on the town’s famous Wine Tram to La Motte, where he and WWF Trailblazer chef, Chris Erasmus, cook a picture perfect meal. Hayden tours Franschhoek’s BWI (Biodiversity and Wine Initiative) vineyards on mountain bike, milks a goat called Betsy, and treats us to a delicious goats’ cheese risotto. Franschhoek is a foodie’s dream, boasting seemingly endless options for just about any ardent palate. In the midst of the majestic Cape winelands, with towering mountains framing a conglomerate of wine-drinking spots, this classic, French settlement is the ultimate spot to indulge in the country’s richest culinary bounty. 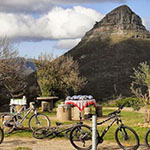 Take a unique and exhilarating tour around the winelands on two wheels. Beautiful trails with stunning vistas await the intrepid and the adventurous. 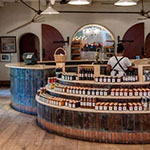 Renowned for its exceptional wines, picturesque setting, historic buildings and rural atmosphere, La Motte is an enchanting destination for visitors to the Cape winelands. 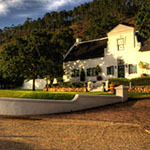 The farm is also home to Pierneef-å-la-Motte, a regular feature in the Eat Out Top 10 list. 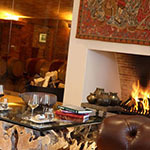 This beautiful wine estate has a winemaking history dating back to the 17th century. Although reminiscent of the past with its nostalgic timelessness, this estate is also ‘all things new, all things delectable and all things sublime’. 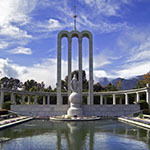 The Huguenot Monument, dedicated to the cultural influence that the French had on South Africa, is an awe-inspiring historical and cultural landmark that simply has to be visited. Sharing pride of place at the beautiful Fairview estate are delicious cheeses and delectable wines. Rolling lawns, vineyards, and great cuisine are served up in huge batches, and the Goatshed restaurant is a firm foodie favourite. 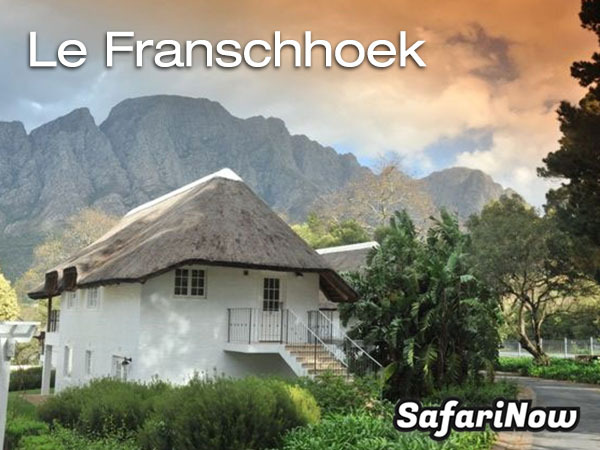 In the midst of the picturesque vineyards of the Cape Wine Route, you will find the Three Cities Le Franschhoek Hotel & Spa. This breath-taking hotel exudes elegance and style, and is the perfect base from which to explore the best that the area has to offer. For those less keen to venture out, you’ll have access to the on-site wine cellar, the moody cigar lounge, and the hotel’s very own culinary school. The reputable Le Verger Restaurant on site is a must-try for gourmet food lovers.